I had prepped this post back before Thanksgiving, during my marathon of pie making: I ended up with 5 and a cake in the end. The cake was pretty fancy, and it’ll be up here eventually, but let’s start with what’s most important. And that’s pie. 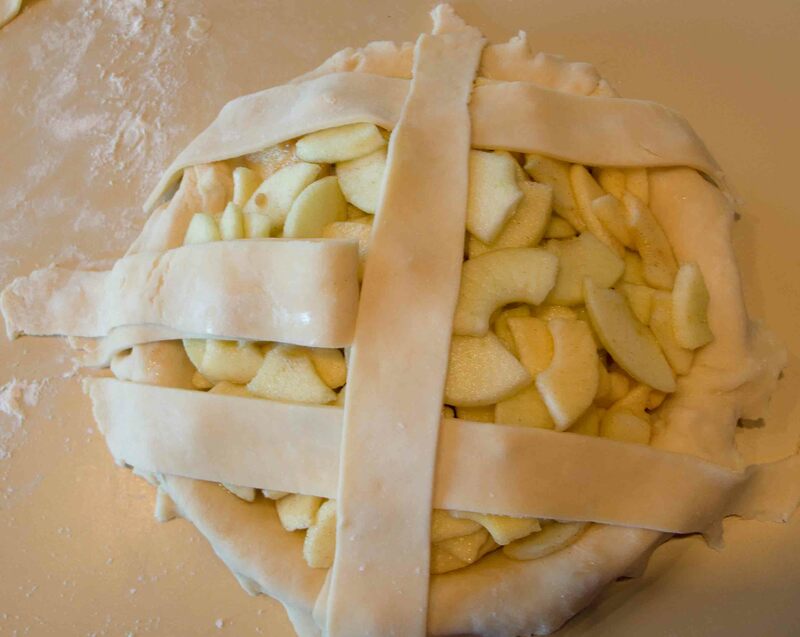 Most of my pies are rather straightforward. I don’t muck about with fancy things – though that may change now that I got some pie cutters for Christmas – and I’m more preoccupied with how they taste than how they look. I understand that you consume the dish first with your eyes, etc, etc, but you consume it last and most memorably with your tongue, teeth, and stomach. So there. But every once and awhile, even utilitarian I cave to the desire to make things look pretty. 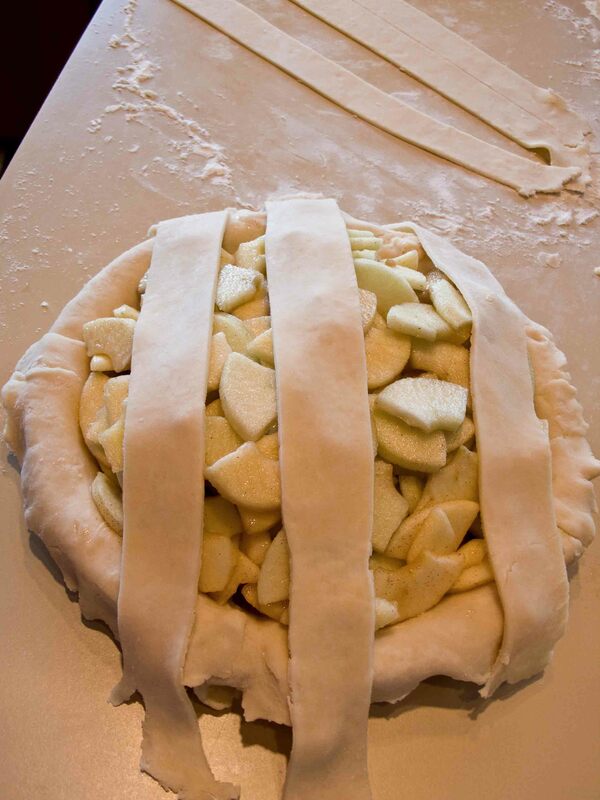 The easiest way I know how to do that is a lattice crust pie. That way, it looks like I labored intensely over the baked good of my love when really I flopped it together and went to watch some BBC murder mysteries with a gin and tonic. 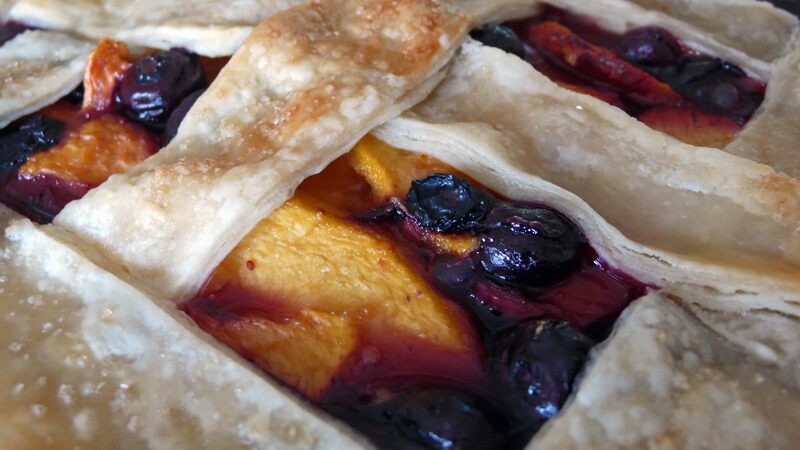 A lattice crust is a must when you have vividly colored fruit. So. Here is a pictorial guide to pie crust! 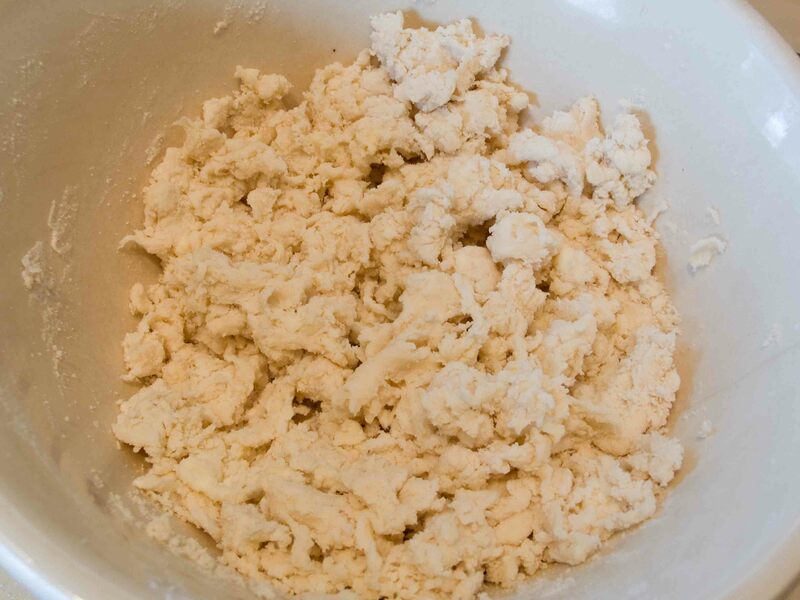 Pie crust, like any pastry dough, comes down to a very basic combination: some type of fat cut into some type of flour. 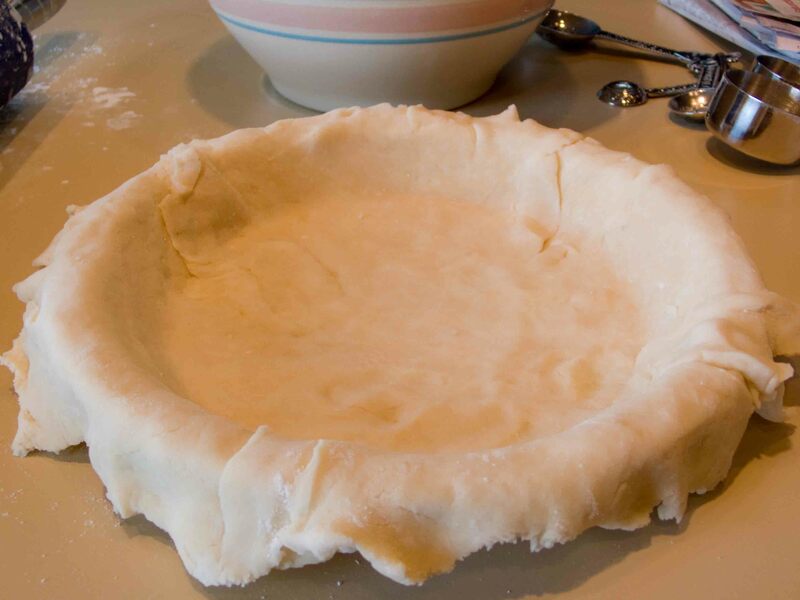 Any pie crust follows the same basic set of instructions: mix all the dry ingredients together, cut the fat in with a pastry cutter, fork, two knives, or fingers until the fat is in lumps about the size of peas. Here I've added almost all the water I want to, using my fingertips like a rake to spread the water throughout the mixture before moving to make it a ball. Add water to bind it together into a ball, slowly towards the end so as to not make it too sticky. Wrap the ball in plastic wrap and stick it in the fridge for an hour or so until it’s ready to roll out. 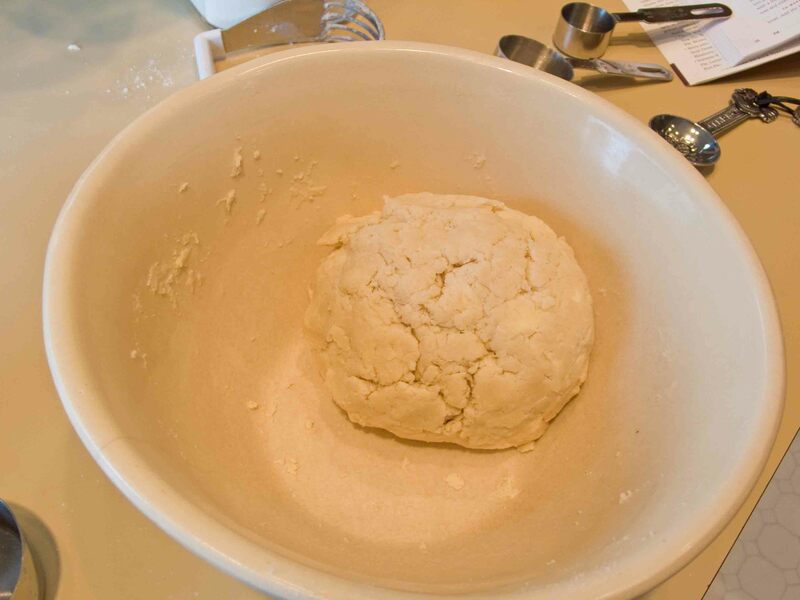 Pull up from the bottom of the bowl and press lightly until the dough binds together into a ball. Since I use all purpose flour for almost well, every purpose, I mainly concern myself with the fat choice. So. Butter, shortening, or lard? Lard! *Gasp* Animal fat?? Yes. Lard is actually easier for your body to digest, believe it or not, and truthfully, you are cutting fat into flour. You are going to need lots of it, no matter what type you use. So set aside your prejudices, and think about flavor, and texture. If you are concerned about your health, have a smaller slice of pie. Truly. Manteca = Lard. Look in the Mexican foods section of your grocery store. They aren't afraid of the pig. What I like about lard is the texture. It produces a really crumbly, tender crust that really has no compare. I follow the recipe given on the tub, which I’ve listed below. Where lard will win for texture, butter steals into my heart for its flavor. I am an American. This means I have very shoddy geography and a love of butter. It produces a harder, less flaky crust, though, so it really is a trade off. Then again, it’s a lot easier to find butter in a grocery store, and nobody is affronted by the whole animal fat issue. However! There is a third choice – vegetable shortening. This is my option if I am making a vegan pie, but I don’t like an all-shortening crust because it’s rather delicate. But in combination with butter, you get a very well-behaved crust that has some of the delectable flavor of butter with the nice flakiness that shortening imparts. Please find farther on two such pie crusts taken from my pie bible. But first! Geeky cook moment: what in the world causes the different fats to bake up so differently? Melting points and water content. What makes a pastry flaky is the little fat pockets. When you keep little lumps of fat, they roll out in thin layers in between the flour and water mixture. Then, upon heating in the oven, the fat flashes into steam, sending its flavor into the flour structure around it, and leaving a teeny tiny airpocket. That flour structure is also why you don’t want to overwork the pie crust – that activates the gluten in the flour, which makes great bread, but is tough and shatteringly unhappy in your pie. Vegetable shortening has a much lower melting point than butter; poke both a stick of shortening and a stick of butter at room temperature – which is softer? The shortening flashes into steam sooner in the baking process, so those air pockets are baked more crisply, sooner. Also, butter has milk solids as well as water, so there is less water to steam out, creating smaller air pockets and therefore less flake, but a sturdier structure. This air pocket/flakiness has one more ramification: your fat must be cold. Like just from the fridge, seriously solid cold. Your water must be cold, too. If not, the fat will melt before it ever gets to the oven instead of layering into pockets, leaving you with a crust that will cause everyone to leave it on the plate and make stammering excuses about cutting carbs. Let us continue. Note: this makes a single 9 inch crust. Note: In this case, cut the butter in almost completely before you add the shortening. 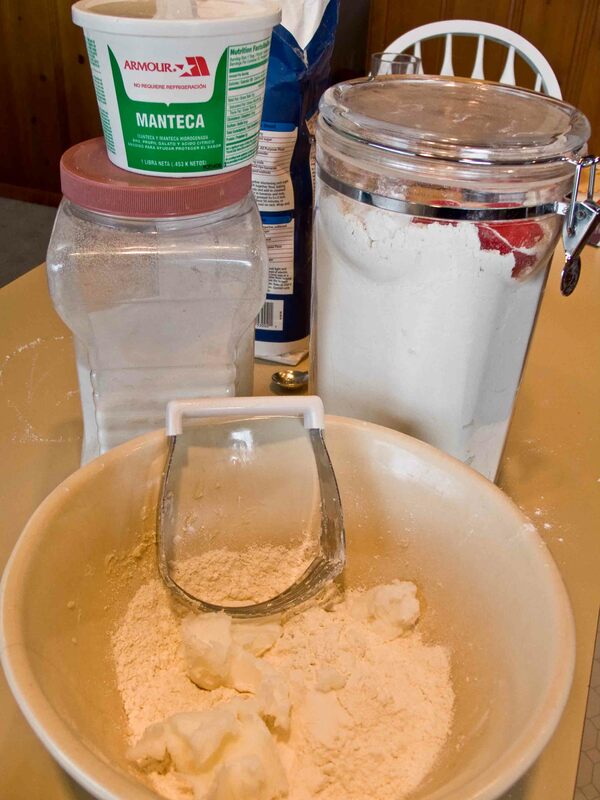 You probably will not need to even use a pastry cutter; just rub the shortening into the flour with your fingertips. Hands help when adding the last of the water in, too, because the ball comes together better and you’ll be less likely to add too much water. When you make pie crust by hand (I like to. It just tastes better), you may need more water than the recipe says. Don’t be afraid. Eventually you’ll get a feel for it as you make various crusts. 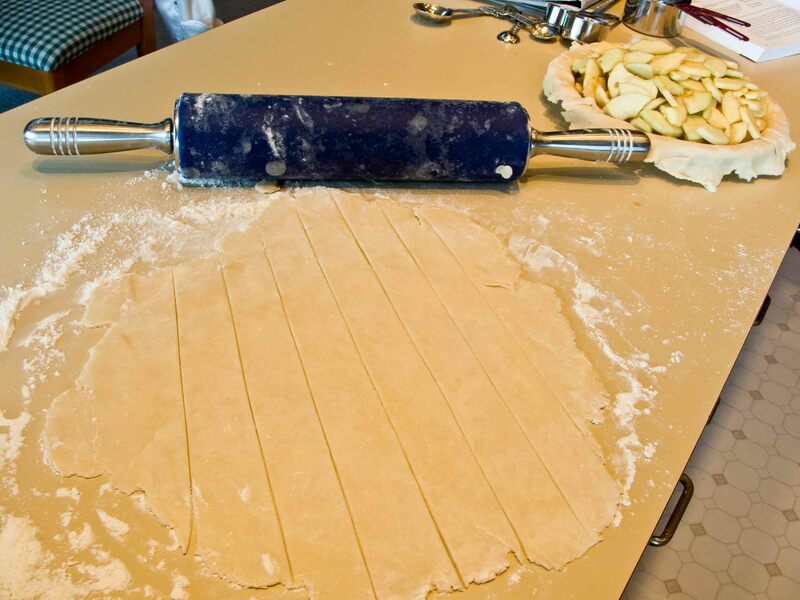 If it’s too sticky, add less water next time, add more flour to your rolling pin, and power through. If the crust is crumbling apart in front of you, add more water. 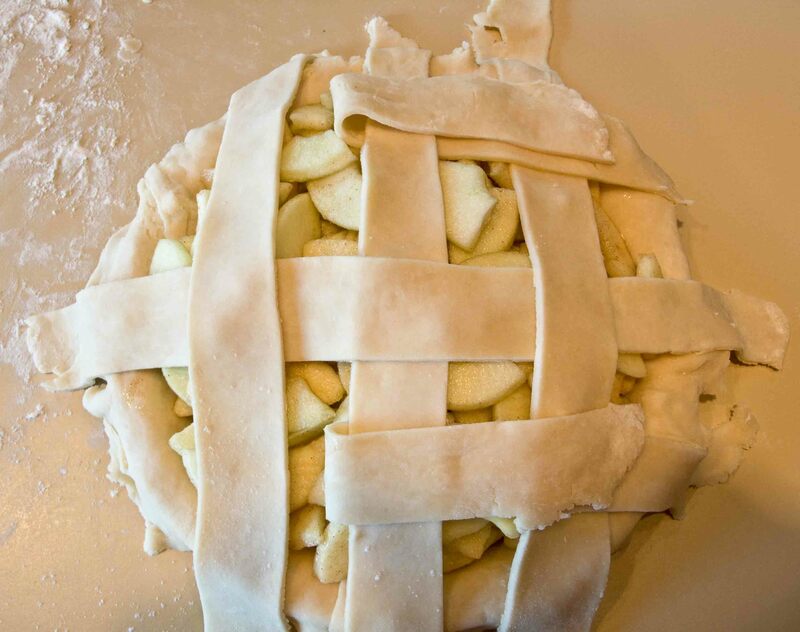 There is no really good way to describe in words, or even in pictures, how pie crust should feel. But you will know. You don’t need any midichlorians to sense it. Just practice (how tiresome). 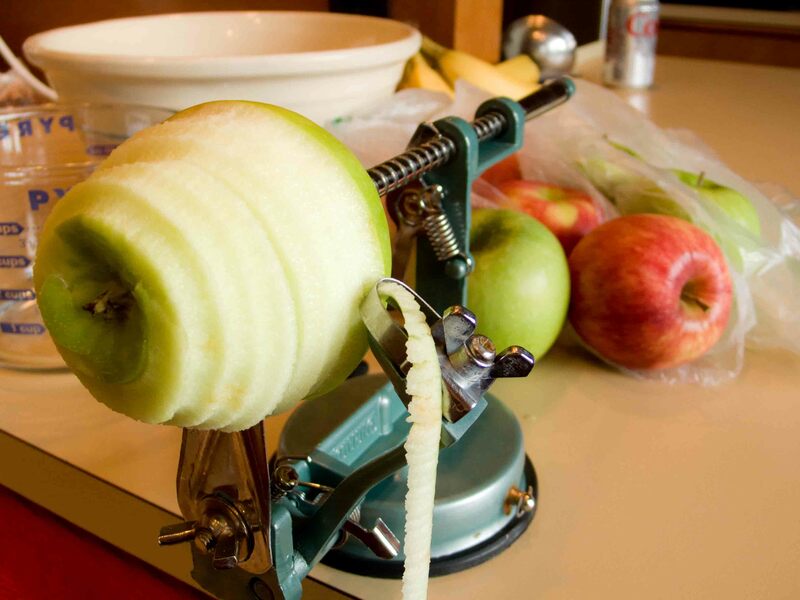 This sucker peels, cores, and slices the apple in about 20 seconds. Oh yeah. I’m not going to give any filling recipes in this post. But the filling should match your crust. If you are going to use butter, the crust itself will have a strong flavor, so make sure your filling, fruit or otherwise, can stand up to that. If you have a very delicate flavor you are trying to impart, use unflavored shortening or lard. 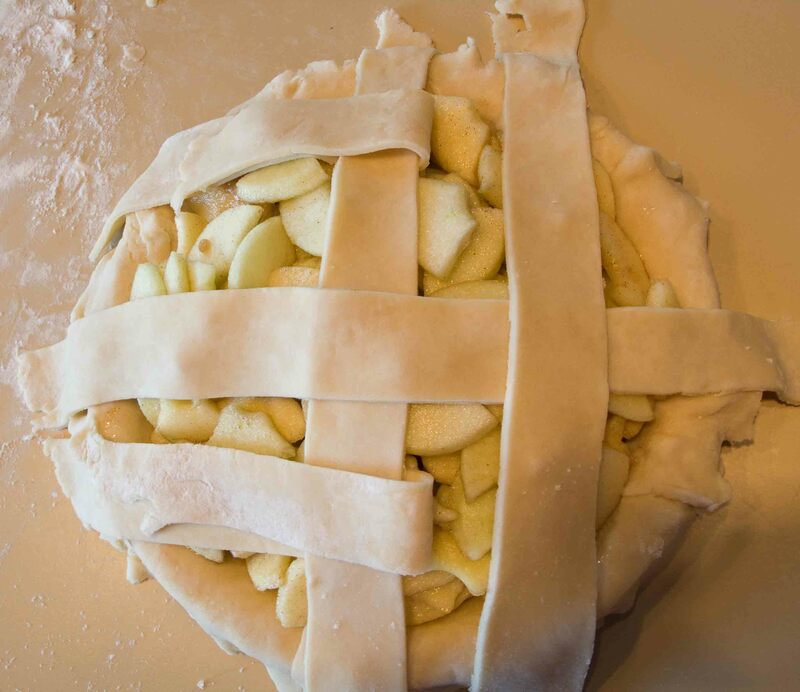 If you want a really rustic pie, full of chunks of fruit, perhaps you should steer back towards butter for a sturdier base. Play around with it, and don’t forget all the wealth of crumb crusts out there, like graham cracker, my personal go-to alternative crust. My brother Leo hates pie crust. It doesn’t matter what type of fat, flour, or prettied up shape – he just hates it. For his birthday I made him a casserole dish full of apple pie filling, which he would rather I always make. What this means to my pie making is that I almost never make a top crust on my pies. I think the last time I did I a traditional two-crusted pie with decorative slits to let out steam was nine years ago. That was about a year or two after I even started to bake pies, for a time reference. I usually use a streusel topping, because Leo finds it barely acceptable and won’t leave it on the plate. Or, I’m making a cream pie that doesn’t need a top crust at all. But Leo is not the be all end all of our family, though he won’t believe that, and sometimes I do indeed make a double crust. But how not to let the family fall into fiery, seditious pie fights? 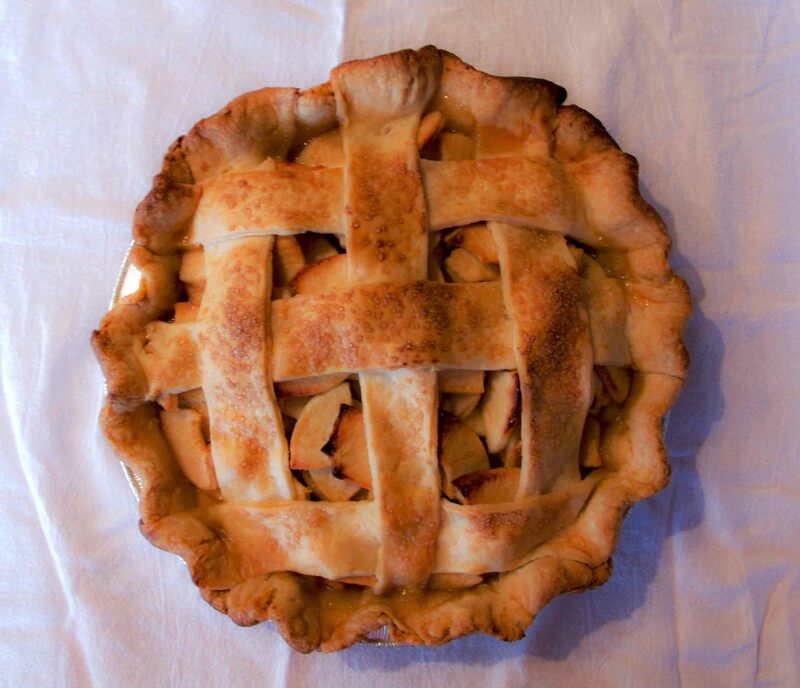 The lattice crust. It’s eye catching, easy for Leo to pick off, and makes everyone feel rather adult at the table. Of course, my other brother John doesn’t even like pie. Anyways. Roll out your bottom crust and lay in your pie pan. Don’t trim off the extra edges. We’ll deal with them later. Prepare your chosen filling and fill. Roll out your second, top crust, and slice six strips of pie dough, about an inch, inch and a half wide according to your taste. There's a horrible joke lurking in the phrase pie strips. Now. Place three of the strips across the top of your filling. Now. We are going to do an over/under pattern. You will fold one or two of these base strips back over itself, at the middle, where you will need an ‘under’ crossing, then back over on top of the base strip. Start at the center, and really it’s much easier to just look below. As you go around, where your right index finger was, put your left index finger and make another crimp. 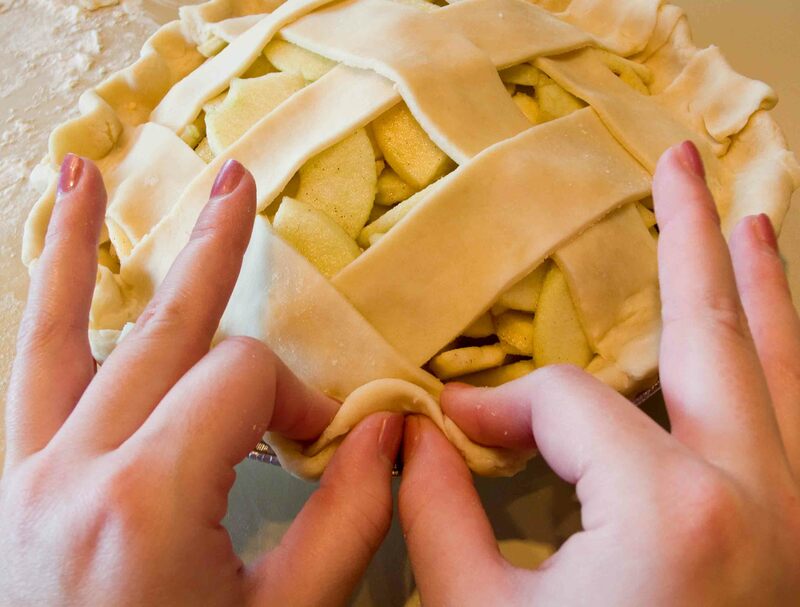 Just go around the pie shell and pinch with that formation. Bake! I brushed it with milk and some raw sugar to make it brown.